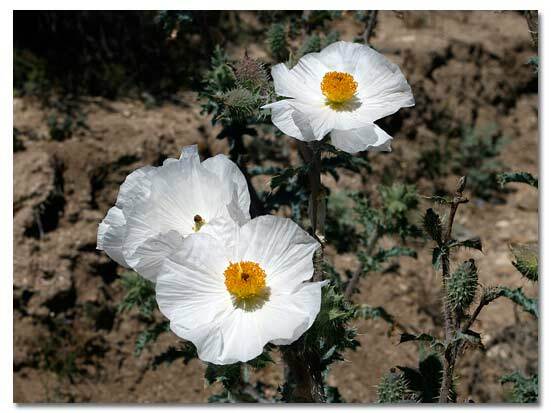 Prickly Poppy is the name used for various species of the Argemone Genus, all virtually indistiguishable from each other. Members of the Poppy Family are characterized by flowers with numerous stamens and 4 to 6 petals. This very branchy, pale green plant grows to 4 feet high and is covered with yellow pricklies. Long, very lobed, spiny leaves resembling thistles grow to 8 inches. All parts of this plant contain alkaloids that are poisonous. It is common throughout the West because not even cattle eat it. Throughout the Southwest deserts from California east to Texas and to northern Nevada and Utah. Sandy or gravelly desert roadsides and washes below 8,000 feet. 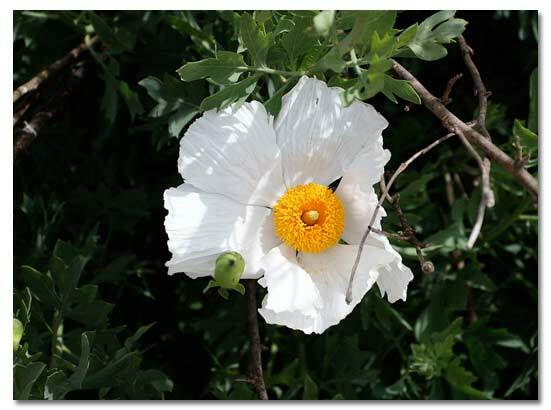 White, papery flowers with a bright, single eye of yellow stamens bloom year round. Flowers grow to 3 inches wide and have 6 broad, delicate, wrinkled petals. 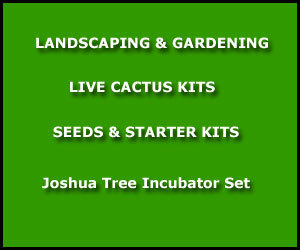 DesertUSA Newsletter -- We send articles on hiking, camping and places to explore. Animals, wildflower reports, plant information and much more. Sign up now (It's Free).